The first page of many about camping and campsites is naturally your most local, for me this is Gloucestershire. Gloucestershire is where majority of my action and connections are so creating this page for all the local campsites I or friends have used. Due to the age of this site we have no official listings for camping but our local research of The Cotswolds, The Forest of Dean, Severn Valley and the rest of Gloucestershire found these. Greenway Farm, a five star, independently owned camping and caravan site of five acres. With flat pastures, beautiful views and luxurious facilities, you can be assured of a relaxing break in the heart of the Forest. Idyllic campsite setting within The Forest of Dean and Wye Valley. Tents & campervans welcome, facilities and ehu available. Camp fires & pets allowed. 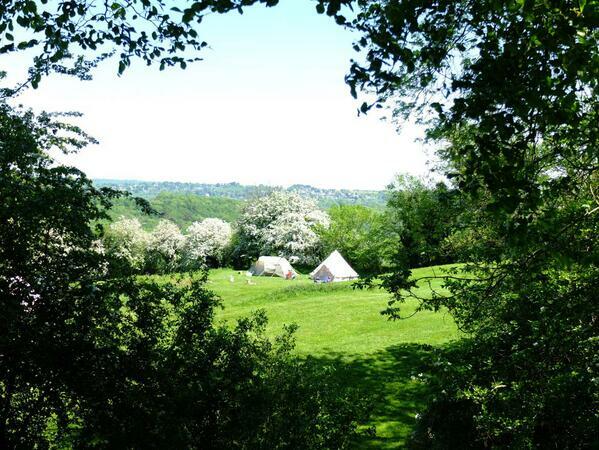 Environmental Camping set in 70 acres of Cotswold Meadow and Woodland. Pelerine offers touring and camping facilities on a five-acre level site, located in Newent, on the edge of the Forest Of Dean, 7 miles from Gloucester. We have added the camping sites of Gloucestershire, The Cotswolds and The Forest of Dean into a Twitter list, you can see their latest news, photos or special offers below.